We build homes that reflect you. 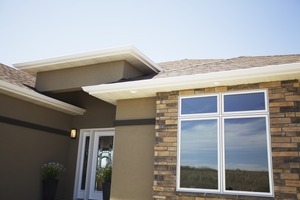 Established in 1996, Mertz Builders is one of Bismarck, North Dakota's most respected and trusted names in residential home construction. Owned and operated by Wally Mertz, our company strives to turn houses into homes for our most valuable asset – you, the customer. Prior to home construction, Wally spent over 25 years in the building supply industry gaining a vast knowledge of building materials along with valuable management and organizational skills. Skills which are used to make your project a pleasant experience as well as an excellent investment. Building from a base of time-tested plans, our custom homes embrace today's lifestyle with the best of yesterday. Our experience allows us to continually update our plans, making your home comfortable, cost efficient, and a true reflection of you. Close attention to detail and quality ensure that every home built meets our exacting standards. Since your home is one of your most valuable assets, we partner your dreams and budget with our skills and craftsmanship.